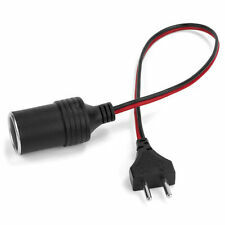 BMW Glove Box Black Flashlight Auxiliary Power Adapter - 90-2010s - E46 E39 etc. 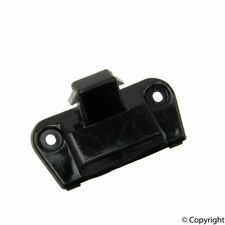 Fits OEM Part Number: 51161849472. Item location: Victorville, California, United States. 96-02 BMV Z3. 91-93 BMV M5. 88-91 BMV M3. 86-87 BMV L7. 85-86 BMV 735i. 78-84 BMV 733i. Off a 2016 BMW M5 with low 16k miles. BMW M5 Leather Glove Box Cream E60 06-10 OEM 51.16 7 034 080 This item is used with normal wear & tear. Click to view picture & details. Confirm fitment with your dealer or mechanic. WE HAVE MANY PARTS AVAILABLE FOR THIS VEHICLE AND MANY OTHERS. Z4 E86 (10/2005 — 08/2008). Z4 E85 (11/2004 — 08/2008). 7' F02 LCI (11/2011 — 05/2015). 7' F02 (11/2009 — 05/2012). 7' F01 LCI (11/2011 — 05/2015). 5 Series E39. The upholstery on this glove box is genuine black Napa leather, and it is in very good condition. There are only a few minor nicks and light scratches to the leather surface, and all the hand stitching is intact. 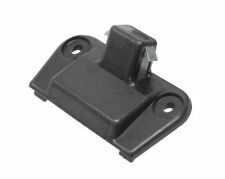 "APA/URO Parts Glove Box Latch --. 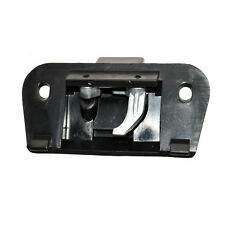 Series : APA/URO Parts Glove Box Latch. Condition : New. Therefore all implied warranties that may apply to your part are limited to the duration of this written warranty. The part that we sold can be proven to be bad or faulty. This is off a 2008 BMW m5 e60. Parts are in good working condition. Complete assembly. Glove Box Dash Compartment Dvd Changer Black 51169205976 Oem Bmw M5 528 535 550 F10 2011-16 . 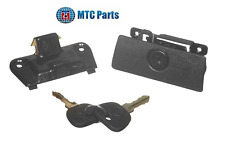 To see all BMW M5 parts that we have in Inventory. This Part is from a 13 BMW M5. Model: 13 BMW M5. VIN of Donor Vehicle: WBSFV9C57DC773410. Happy viewing! UP FOR SALE IS A OEM ORIGINAL BMW E39 5 SERIES HANDLE. This glove box was removed from a 2008 M5 with ~125k miles. The leather is in very nice condition. There is one very small and minor abrasion to the lower right corner. All mounting tabs are intact. Glove box housing. WE HAVE MANY PARTS AVAILABLE FOR THIS VEHICLE AND MANY OTHERS. 5' E61 LCI (11/2005 — 05/2010). 5' E61 (10/2002 — 02/2007). 5' E60 LCI (10/2005 — 12/2009). 5' E60 (12/2001 — 12/2009). 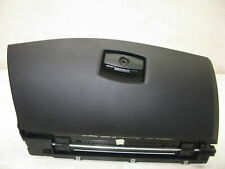 USED BMW E34 GLOVE BOX INTERIOR UPPER COVER, FOR VEHICLES WITHOUT WOOD TRIM. REMOVED FROM A 1991 525i. Manufacturer Part Number: 1074. WHEEL BEARING. TIRE CHAINS. TIMING BELT. Tire Chains And Accessories. Timing Parts/Kits-Valve Train. Rotating Electrical. Radiators And Cooling. 7 series E38 1997-2001. 5-series E60 2004-2010. 5-series E39 1997-2003. 3-series E46 1999-2005. M5 2000-2003. Original BMW part. Fits most BMW from 2000-2008. 2003 BMW 530i. Donor Vehicle. BMW M3 M4 M5 M6 M-Mobility System cpl. WE HAVE MANY PARTS AVAILABLE FOR THIS VEHICLE AND MANY OTHERS. The specified part was not found. (02/01/1997 — 01/05/1999). Superseded by. 7' E66 (06/2000 — 07/2008). 7' E65 (02/2000 — 02/2005). 3' E90 (02/2004 — 08/2006). 7' E38 (01/1994 — 07/2001). 5' E39 (07/1995 — 07/2003). 3' E46 (09/1997 — 08/2006). Here is your chance to get an even better auxiliary power adapter for less than half. 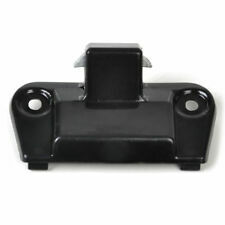 BMW Glove Box Mounting Support Bracket Suspension Strut E34. Good used genuine BMW glove box mounting bracket with soft open suspension strut for certain E34 5 series cars with wood dash trim. Glovebox Mounting Bracket. E39 528i Touring. E39 528i Sedan. E39 530i Sedan. E39 540i Sedan. E39 540i Touring. E39 M5 Sedan. E39 525i Touring. E39 525i Sedan. Located outside the glove box. 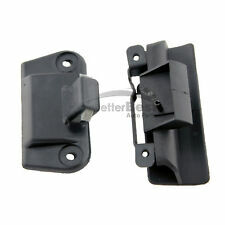 USED BMW E34 GLOVE BOX INTERNAL LOCK CATCH, FOR VEHICLES WITHOUT WOOD TRIM. REMOVED FROM A 1991 525i. Dash Glove Box Compartment Ivory White 51169218974 Oem Bmw 640 650 Alpina B6 F12 F13 2010-18 . 5' F11 (01/2009 — 06/2013). 5' F11 LCI (08/2012 — 02/2017). IS A F10 BMW M5 BLACK LEATHER DASH GLOVE BOX. REMOVED FROM A 2013 BMW F10 M5 WITH 57K MILES. 5' F10 (01/2009 — 10/2016). 5' F10 LCI (08/2012 — 10/2016).